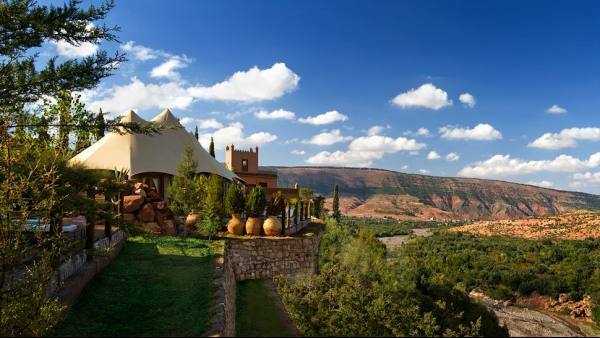 Perched dramatically on a hilltop in Morocco surrounded by the peaks of the High Atlas Mountains is luxury hotel Kasbah Tamadot. 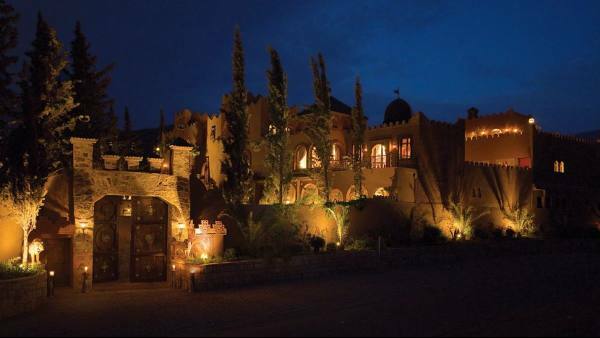 Owned by Richard Branson, it has been filled with treasures and antiques from India and Morocco, making this a unique North African retreat. 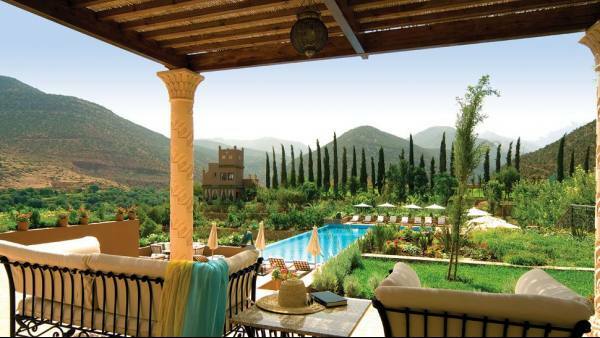 Kasbah Tamadot is the perfect hideaway as guests can spend time being pampered in the spa that offers many different treatments. There is also an infinity pool to relax by, tennis courts and beautiful gardens to explore. 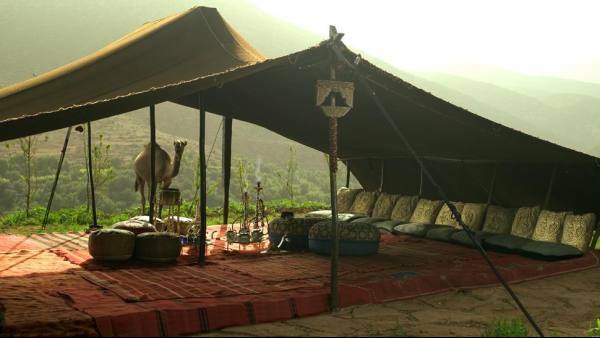 Other activities at this luxury hotel include mule-riding to the Berber hamlet on the opposite hillside for some mint tea, guided excursions to the nearby Ourika valley for a fully-fledged hike or a 4x4 trip across the desert. Before dinner, enjoy a cocktail beside the luxury hotel's fireside bar. The restaurant serves up a menu of delicious local and international cuisine in their stunning dining area complete with terrace dining and breathtaking views. If staying in is your preference, room service is also available. 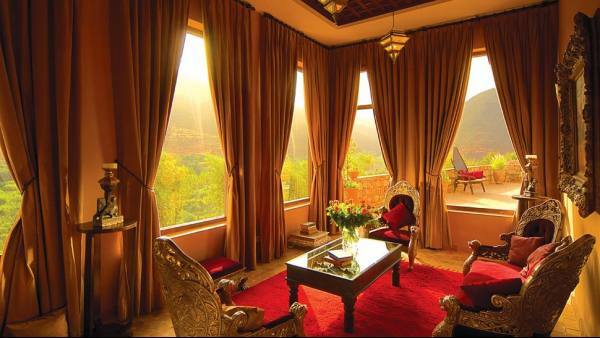 Kasbah Tamadot has 18 uniquely decorated rooms that have a simple style compared to the opulent grandeur of the luxury hotel's common areas. 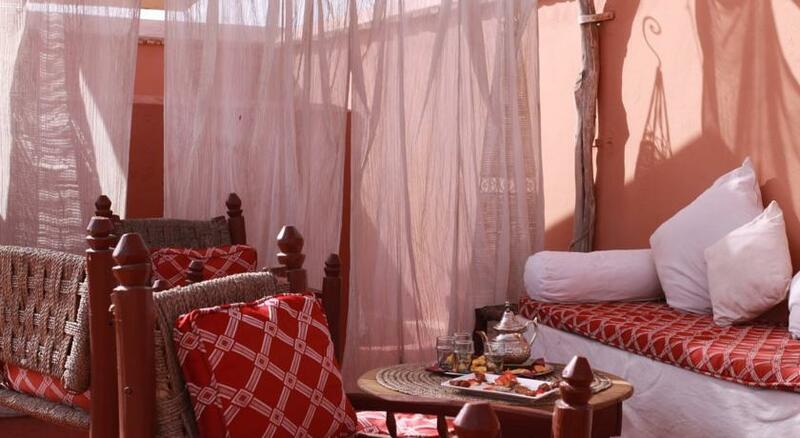 Rooms have terracotta floor tiles and patterned rugs that set the Moroccan atmosphere. 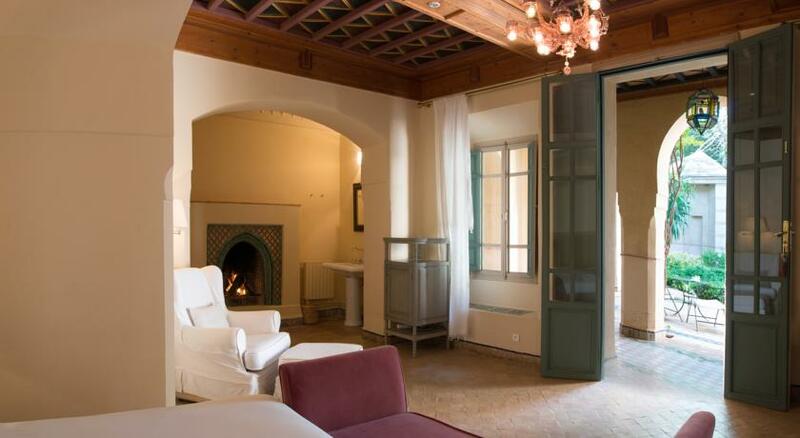 Carved wooden chests, claw-footed fer forge bedside tables and fantastic mosaic ceilings also add to the charm. The superior and deluxe suites come with a private terrace, balcony or even a private rooftop area. 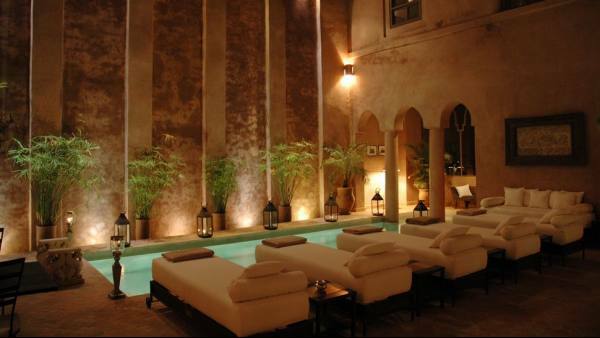 Bathrooms are in either Moroccan or contemporary style with arched entrances into sunken, plaster coated bath areas or a freestanding bathtub with overhead shower. All rooms have modern amenities such as internet connection, CD/DVD player and air conditioning.